The Civil Aviation Authority of the Philippines (CAAP) advised all airport operators and other authorities to take the necessary health and safety measures against Zika virus. It sent out notices to concerned airport authorities, airline firms and airport medical officials on a Zika virus alert for them to also take precautions to prevent the spread of the virus. Travelers to other countries were urged to take extra precautions against mosquito bites, through which the Zika virus could be spread. The World Health Organization (WHO) declared, last February 1, Zika virus as an international health concern. To date, the virus has spread to 33 countries and found indirect evidence of local transmission in six other countries. “The ICAO is collaborating with the WHO to ensure that the aviation sector play a supporting role in minimizing the risk of spreading the disease internationally and of travelers becoming infected, especially women who may be pregnant,” Hotchkiss said. He added that a basic precaution that may be undertaken by the airlines is disinfection of aircraft to prevent breeding of Zika virus-carrying mosquitoes. Bureau of Quarantine personnel at the airports have been reminded to stay alert for arriving passengers who may be infected by the Zika virus that makes use of similar transmission routes as dengue fever. The virus is blamed in South America, in particular, for the birth of children with abnormally small heads and undeveloped brains, a medical condition called microcephaly. The Civil Aeronautics Administration of the Philippines (CAAP) appears to be deaf and blind to the objections of members of the House of Representatives in allowing more landing rights in the Ninoy Aquino International Airport (NAIA). The bigger question of the airline industry in the Philippines is non-reciprocity in the bilateral agreements with airlines of other countries. In past years, civil authorities have been giving additional seat capacities to other airlines landing in NAIA. The CAAP refuses to demand reciprocal rights. Airlines in the Philippines do not get the reciprocity in terms of additional passenger seats and more landing rights. Philippine Airlines (PAL), and lately Cebu Pacific, have been on the receiving ends of bilateral agreements. Civil authorities in the Philippines allow competitors to land in Manila and pick up passengers for other destinations. PAL and Cebu Pacific, on the other hand, operate point to point. Airlines in the Middle East fly to Manila and pick up passengers for other destinations, mostly the United States. These passengers would be forced to take PAL if its competitors are not allowed to fly to a third destination instead of flying back home. Since the two Arab airlines fly to Manila and pick up passengers for another destination, they are not in the business of flying from home to Manila and back to home. PAL claimed they make more money flying passengers from Europe to Manila or from Saudi Arabia, a separate independent Middle East country. PAL claims these operations are not allowed under the agreement but is tolerated (by civil authorities) as long as Emirates Airlines and Etihad Airways do not ‘abuse’ the privilege. The proof of abuse is precisely “violating the agreement” by flying passengers picked up in Manila while PAL flies back home from UAE. PAL is limited to point-to-point operation as specified in the agreement. Civil authorities in the Philippines do not consider flying passengers from Manila to Europe and elsewhere a violation of the agreement. Or they do not demand the same rights for PAL. Government argues PAL should have more aircraft to be entitled to reciprocity. PAL shoots back to claim it cannot buy more airplanes if it is denied revenues given to passengers of its competitors. PAL has ordered 70 new long-haul airplanes. Thirty of them have been delivered. Five will come every year. In spite of being denied passengers by CAAP, PAL made consolidated profits of $20.376 million in 2014. It flew more than 50 million passengers in its local and foreign routes. The European Union has lifted the ban on Philippines’ AirAsia, allowing the local unit of Southeast Asia’s largest budget airline to fly to European countries. “Yes, the EU lifted the ban two weeks ago,” said Alfredo Yao, a board member of AirAsia Inc., operator of Philippines’ AirAsia. Yao confirmed the company planned to expand routes to include Europe. AirAsia Berhad of Malaysia and Filipino businessmen led by Yao own Philippines’ AirAsia. The EU and the Civil Aviation Authority of the Philippines and European Union are set to formally announce the highlights of the updated EU air safety list soon. “We are expanding actually. We will have a board meeting on July 3,” Yao said. 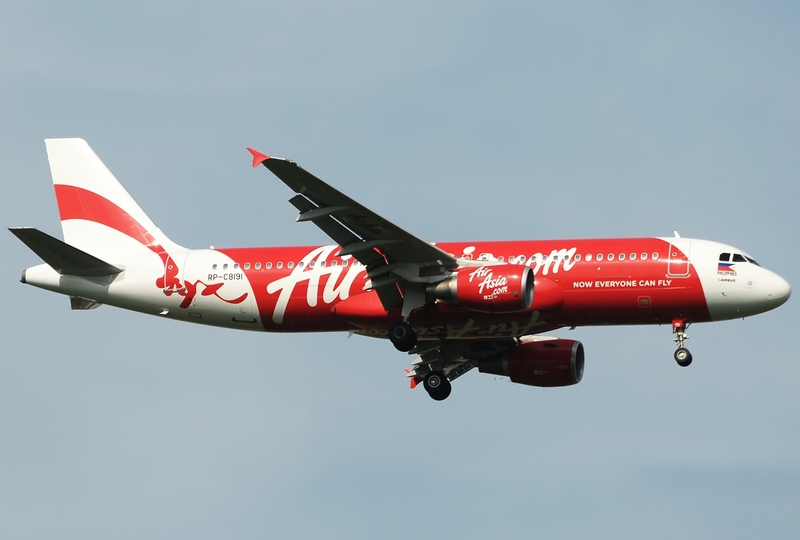 Yao said Philippines’ Air Asia was looking at interconnecting with AirAsia X, the long-haul unit of the AirAsia Group for the company’s expansion to Europe. Currently, only Philippine Airlines and Cebu Pacific Air are out of the EU black list of airlines. The decision comes after the US Federal Aviation Authority (FAA) upgraded the Philippines to Category 1 status, allowing PAL and other local carriers to add flights to and from the US. Philippines’ AirAsia earlier reported a net loss of P854.5 million in the first quarter of 2015, a significant improvement from P1.4-billion net loss in the first quarter of 2014. The airline recorded revenue of P2.1 billion in the first quarter, 6 percent lower than P2.2 billion it posted in the first quarter of 2014. AirAsia Philippines blamed the decline in revenue to the lower passenger volumes, which decreased 6 percent to 843,250 from 894,733 last year. Load factor went up by 11 percentage points to 77 percent from 66 percent. AirAsia Berhad group chief executive Tony Fernandes earlier said Philippines’ AirAsia might be listed in the Philippine Stock Exchange in 2018. The Philippine unit of Malaysia’s AirAsia secured the approval of the Securities and Exchange Commission to acquire 100 percent of Zest Airways Inc. The Senate committee on public services approved the sale of Zest Airways to AirAsia Philippines in December last year. The House committee on franchise also gave its consent in February last year. Malaysia’s Air Asia, through AA International, owns 40 percent of Philippines’ AirAsia Inc., while Filipinos Marriane Hontiveros, Michael Romero, Antonio Cojuangco and Alfredo Yao hold the balance of 60 percent. MANILA, PHILIPPINES – Various safety “observations” were cited by the Civil Aviation Authority of the Philippines (CAAP) in suspending the Air Operator Certificate (AOC) of low-cost carrier South East Asian Airlines (SEAIR International Incorporated) and leisure airline Magnum Air (SkyJet) Incorporated effective Monday, May 18. The agency took SEAIR-i to task for its management structure, flight safety program, and its rules on accident prevention. For SkyJet, the reasons cited for the suspension of its operations were its flight data monitoring, as well as quality assurance airworthiness and maintenance control. An AOR is granted to an aircraft operator allowing it to conduct charter (low or high capacity), flight training, and regular public transport purposes, among other related activities. The observations were in reference to the report by the European Union (EU) Assessment Team that visited the country in April and looked into the safety situation in a number of Philippine airlines such as Air Asia Zest, PAL Express (formerly Air Philippines Corporation), Island Aviation Incorporated, and Tiger Airways Philippines . In a letter addressed to Avelino Zapanta of SEAIR-i and Captain Teodoro Fojas of Magnum Air, CAAP informed the two airline officials of the suspension order of its AOCs due to various safety shortcomings on the rules and standards prescribed under the Philippine Civil Aviation Regulations (PCAR). The letter, signed May 15 by Director General William K Hotchkiss lll, said the results of the assessment visit and investigation made by him and his office require that the safety concerns be immediately corrected by the two companies. The suspension order takes effect Monday. CAAP said the suspension remains until SEAIR-i and Magnum Air have complied with the aviation safety standards set by CAAP. SEAIR-i flies from Manila to Basco, Batanes; Caticlan; and Tablas Island, Romblon. Magnum Air flies from Manila to Basco and Busuanga, Palawan. A European Union delegation is now in the Philippines to assess the safety systems of Philippine air carriers still on the list of carriers banned from flying over the skies of Europe. The assessment will focus on Air Asia Inc., Air Asia Zest, Air Philippines Corporation, Island Aviation Inc., Magnum Air, South East Asian Airlines and South East Asian Airlines International. Only flag carrier Philippine Airlines and budget carrier Cebu Pacific are out of the EU’s list of airlines that fail to meet international aviation standards. Apart from the airlines, the EU delegation will also check how regulator Civil Aviation Authority of the Philippines has tackled previous problems in the air industry. “The EU safety assessment visit to the Philippines will seek to confirm that the CAAP has addressed the root causes of previous areas of concerns and is able to conduct effective oversight of air carriers certified in the Philippines,” CAAP said in a statement on Thursday. The safety assessment will be conducted by experts from the European Commission, the European Aviation Safety Agency (EASA) and member states of the European Union headed by team leader Captain Richard Miller. The team also includes Per-Erik Oberg, Vincent Lambotte, Sebastian Zacharias and Mureil Belzunce. The team, accompanied by EU Ambassador Guy Ledoux, met with CAAP director general William Hotchkiss III and discussed their safety assessment procedure. Also in the meeting were Air Asia Inc. representative Marianne Hontiveros, Air Asia Zest’s Josephine Joy Caneba, Air Philippines’ Bonifacio U. Sam, Island Aviation Inc.’s Capt. Benhur Gomez, Magnum Air’s (Skyjet Inc.) Capt. Teodoro Fojas, Southeast Asian Airlines’ (Tiger Airways) Michael Shau and South East Asian Airlines (SEAIR) International Inc.’s Avelino Zapanta. In 2010, the EU banned Philippine carriers from European airspace after the Philippines failed to comply with international safety standards. PAL and Cebu Pacific were restored and allowed to fly to European Union countries again in July, 2013 and April, 2014 respectively. The Civil Aviation Authority of the Philippines (CAAP) has successfully commissioned the upgraded air traffic management (ATM) system at Ninoy Aquino International Airport (NAIA). Replacing the ageing Eurocat system deployed in 1996, the $3.59m ATM upgrade is capable of managing arriving and departing air traffic from about 250 nautical miles, as well as prevent frequent outages resulting in flights being cancelled or diverted or delayed, mainly during the rainy season. Further, the system would deliver stable and efficient traffic over Philippine airspace until NAIA completely transitions the CNS/ATM project. Built in collaboration between Thales Australia and Pacific Hemisphere Development, the CNS/ATM technology integrates a computer-based flight data processing system that allows aircraft operators to comply with their scheduled arrival and departure times. Using CNS/ATM technology, aircraft transponders can communicate with satellite signals, using the transponder transmissions to accurately determine the aircraft location. The system also enables them to follow their preferred flight profiles with least limitations and without compromising approved safety levels. Though several nations have adopted the satellite-based CNS/ATM for the last few years, the International Civil Aviation Organisation (ICAO) has given signatory countries such as the Philippines to adopt the next-generation system until 2016. A case in point is Capt. Franklin Mallari Desiderio, formerly of PAL and now with Emirates, the first Filipino pilot certified to fly the largest passenger aircraft, an Airbus A380 double decker jumbo jet, that can seat more than 500 passengers. CAAP Flight Service Inspectorate Service (FSIS) head Capt. Beda Badiola confirmed to journalists during the traditional Director General’s New Year Courtesy Call that Filipino pilots, especially pilots from flag carrier Philippine Airlines (PAL), are being offered “hard to refuse salary” by foreign airlines although some of them still choose to stay with PAL out of loyalty. The exodus of Filipino pilots started around 1998 and continues because of the high salary scales offered by other foreign airlines, especially from some Asian countries and even from Europe, Badiola added. “We are ahead of some Asian countries because Filipinos understand and are proficient in English language, which is the medium of expression for pilots,” Badiola added. Badiola remarked that Filipino pilots who work abroad tend to automatically have their Philippine licenses converted to be valid in the country they are serving. Badiola, who is in charge of the aviation regulatory office that oversees licensing of flights and validation of license of pilots and crew, said that the planned opening of an Airbus Training center in the country will put the Philippines on aviation road map. Aircraft maker Airbus SAS is setting up a training center in Manila, the Civil Aviation Authority of the Philippines said Sunday. CAAP Director General Lt. Gen. William Hotchkiss lll endorsed the establishment of the training center to the Board of Investment. “The center will also be the first that will be equipped with a brand new A330/A340 Full Flight Simulator and associated suite of devices on top of two A320 simulators,” the CAAP said. It added the training center stands to be the first by an aircraft manufacturer in the Philippines. “The setting of training center is seen as a major initiative supporting the CAAP’s current efforts to support the type rating training of the growing aviation industry,” said Hotchkiss. He added the center as part of the Airbus Approved Training Organization (ATO) would always be updated with the latest training standards. This promises to improve the quality of training that could “put the Philippines to become an international site for Airbus training that will serve the ever-increasing Airbus fleet in the region,” the CAAP said. Other Airbus SAS Training centers are located in Toulouse, Miami, Hamburg, Beijing and Bangalore in India. The firm also has field service offices worldwide. Data from leading aviation information consultancy Center for Asia Pacific Aviation (CAPA) said around 9,160 of the total global airplane orders are destined for Asia-Pacific region and there will be need for 192,300 pilots and 215,300 technicians until 2030. MANILA, Philippines–The Civil Aviation Authority of the Philippines (CAAP) is suspending all flights to the Tacloban airport, the main gateway to Leyte province, starting on Wednesday over “fast developing potholes” on the runway that airline operators said could damage their planes and compromise passenger safety. Repairs will be undertaken on the runway of Daniel Romualdez Airport in Tacloban City to allow it to accommodate smaller turbo-propeller aircraft within the week but larger commercial jets are unlikely to use it for “months” as broader repairs are undertaken, a CAAP official said. Pope Francis is scheduled to visit Tacloban in January next year. “Jets like Airbus A320 or Boeing B737 will resume flights thereat only after the total replacement of the five-inch asphalt on the whole runway is done,” the CAAP said in the statement. The CAAP chief financial officer, Rodante Joya, said in an interview that discussions were being undertaken with a contractor on the asphalt replacement. Taking into account the rains, the process could run for several months, he said. Joya said the 2,100-meter runway of the Tacloban airport was serving 24 flights per day. Philippine Airlines, Cebu Pacific, Air Asia Philippines and Tiger Air operate at the airport and have requested that they stop operating at the air gateway until repairs are carried out, he said. Airline officials were not immediately available for comment. “The continuing deterioration of the runway surface must be addressed immediately for the safety of all aircraft landing in Tacloban,” Joya said. The rehabilitation is still ongoing at the airport’s terminal and runway, which were severely damaged by Super Typhoon “Yolanda.” The typhoon (international name: Haiyan) barreled through the country last November, killing thousands and damaging key infrastructure facilities. All commercial flights to and from Tacloban will be affected by the airport closure, CAAP said.